As is his tradition, Matt didn’t tell me where we were going for our Anniversary and Babymoon Weekend trip. He did give me some hints along the way including that he didn’t think there would be bellhops and it might be too cold to swim, yet we packed swimsuits in case it was not. I enjoyed our trip and was delighted when we pulled up to the Cavalier Oceanfront Resort in San Simeon. It is one of his mom’s favorite hotels and we’d stayed nearby yet, this was our first stay together at this location. 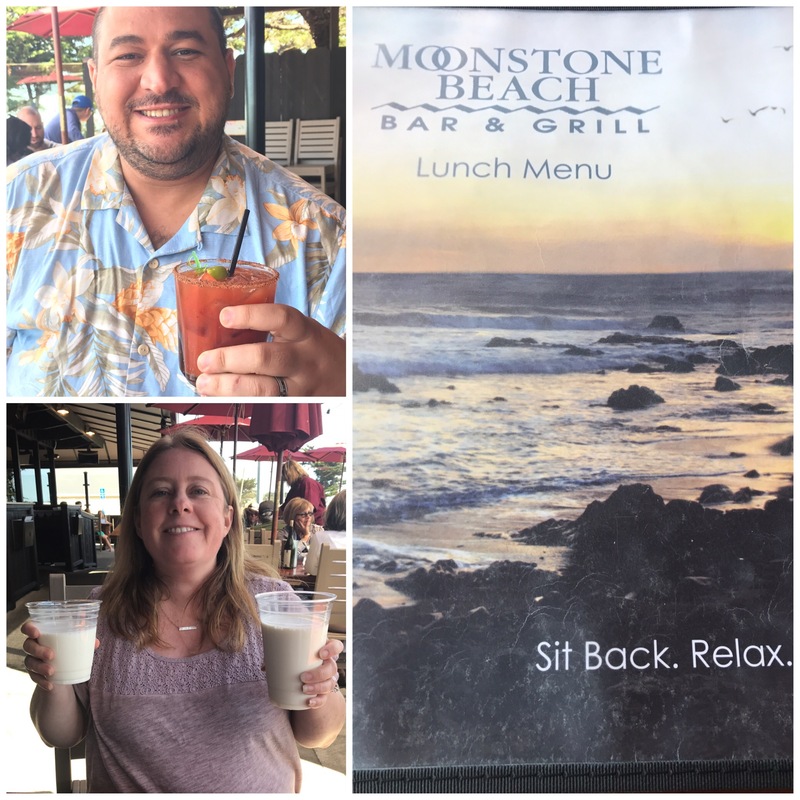 When we got there we were ahead of the four p.m. check in time, so we ate lunch at Moonstone Beach Bar and Grill Restaurant. One of the first things I wanted to do when I learned I was pregnant was get a baby book. I had one as a bride to be and looked forward to capturing memories in the same manner. 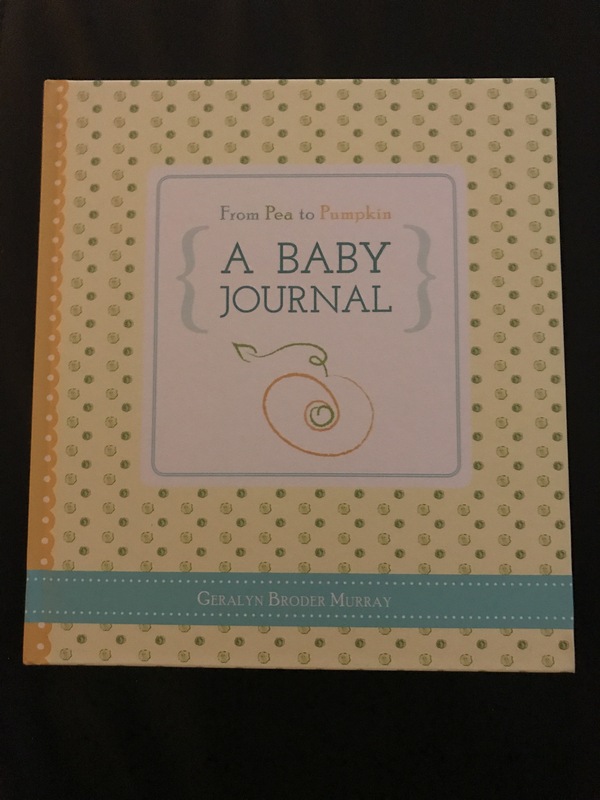 This week I review “From Pea to Pumpkin – A Baby Journal”. 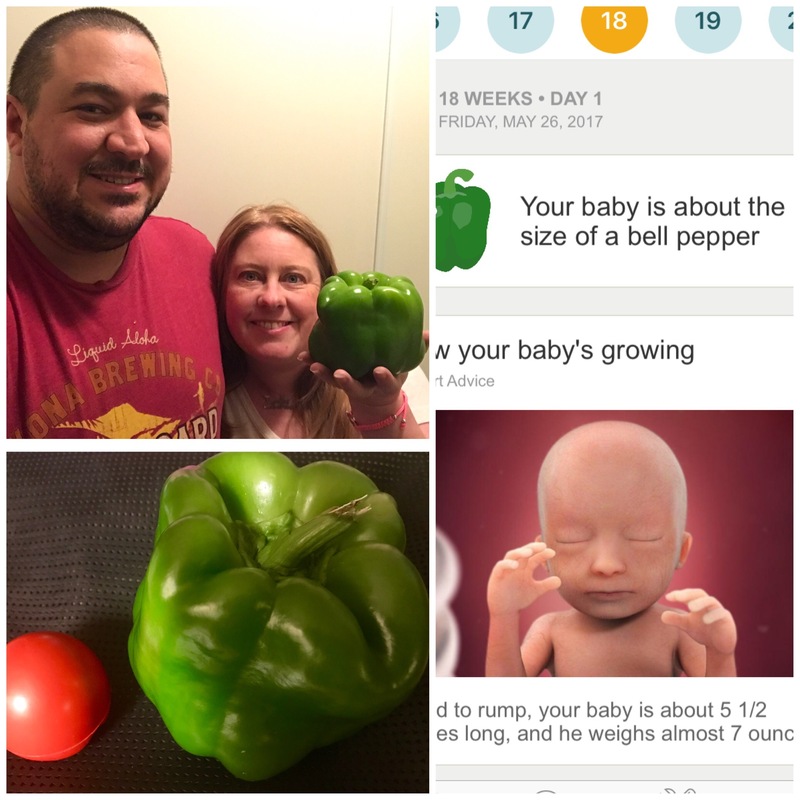 Our baby is now 18 weeks- the size of a bell pepper. This means the head to rump distance is about five and a half inches. For size comparison, I put the bell pepper next to the clown nose I wore for Red Nose Day on Thursday. As people who love taking photos of ourselves and each other, I was definitely looking forward to having Matt take photos of my expanding bump. We started with Week 13 and were still figuring out how to best do them, so I’m missing ofthe shots I started the next week. I put stickers on my belly to show the week. 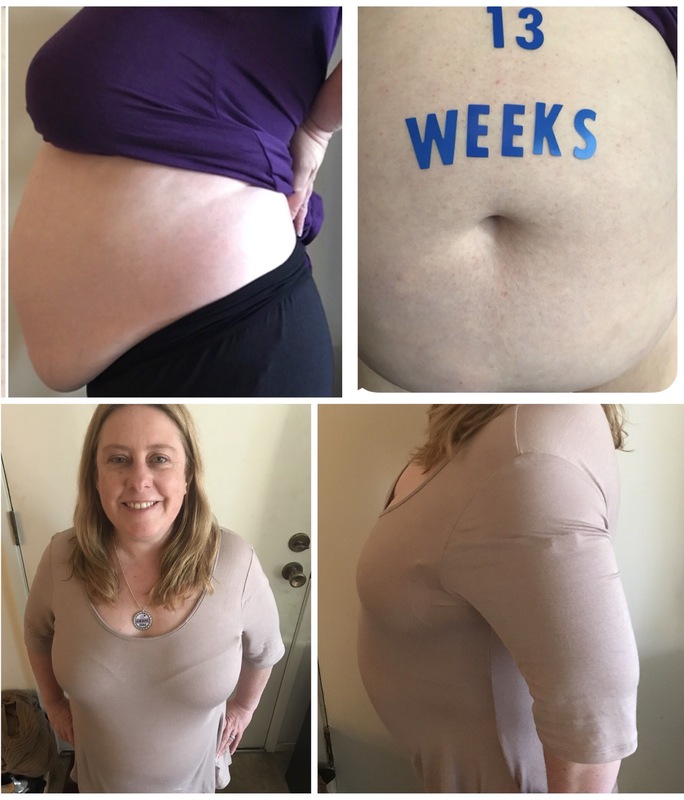 In the months of my pregnancy so far there have been many parties and celebrations. This has necessitated changes to what I eat and especially drink. 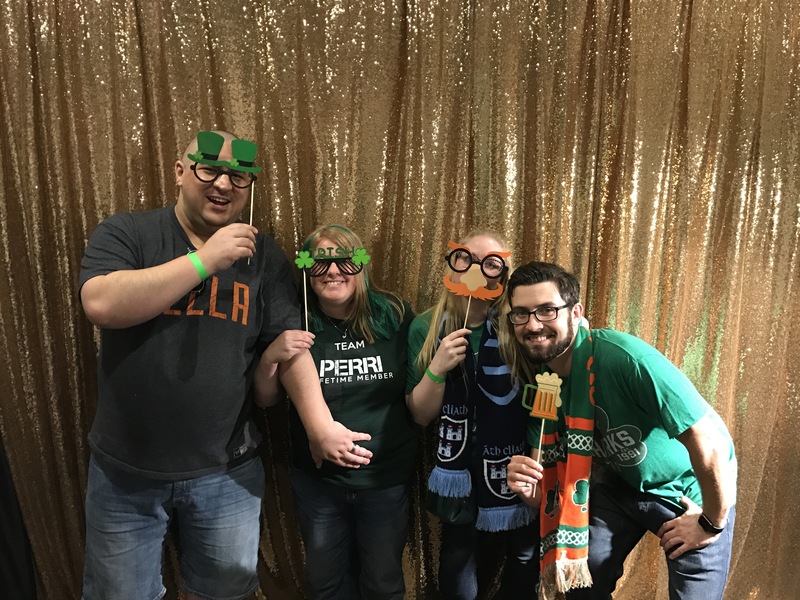 Ironically, the original plan for my birthday was a small party at home on the actual date, which is St. Patrick’s Day followed by a Pub Crawl in Pleasanton. I’d had so much fun last year at this I knew we had to return though I would have to forgo the beer. One of the most important and frequently given bits of advice to pregnant women is to drink lots of water. Many pregnant women aren’t used to drinking a lot of water, so it’s one of many adjustments to make. 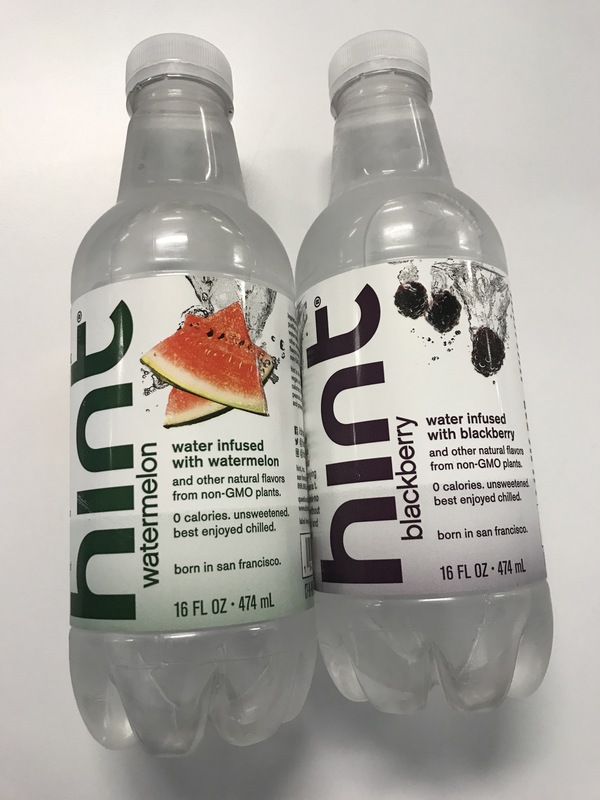 Company C provides many types of water and today I review Hint Water which comes in many flavors of which we get three, watermelon, blackberry and peach. This year’s Throw Back Thursday is dedicated to Red Nose Day which we are celebrating today in the US. This holiday which originated in the UK in 1985, and they had their celebration last month. Three years ago this event crossed over to the United States, and while I did not know it was going on then, last year I did, as did Petra who served as Maid of Honor on my wedding day. We both proudly donned the red nose for the event, to raise awareness of and funds for children in poverty.